Today the plan was all about museums. 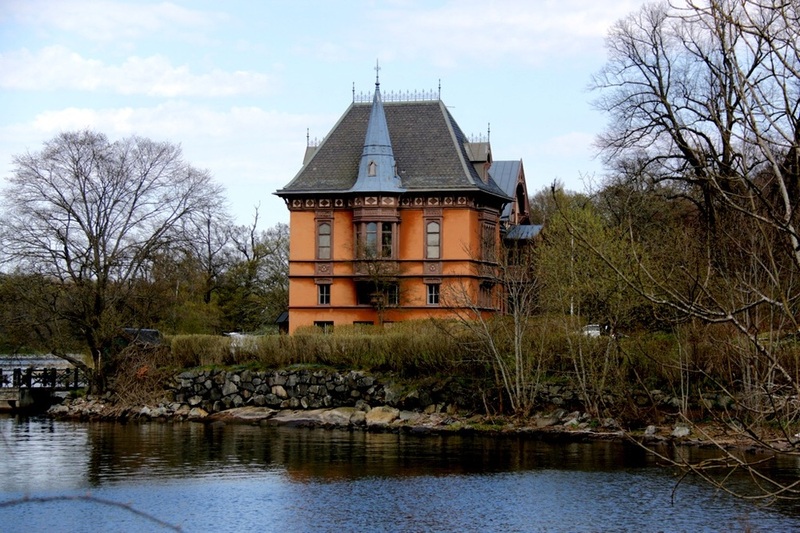 A number of interesting ones are conveniently located on an island called Djurgarden. I set off early again catching the metro to T-Centralen then changing lines to get me to Karlaplan. There was a connecting train already waiting when I got to T-Centralen but by the time I double checked that it was the right one it was leaving. I had to wait 15min for the next one, but that's better than catching the wrong one and having to backtrack. I was early so it gave me an opportunity to photograph some other aspects of the city. Some of the boats moored along the lake/sea have a lot of character. 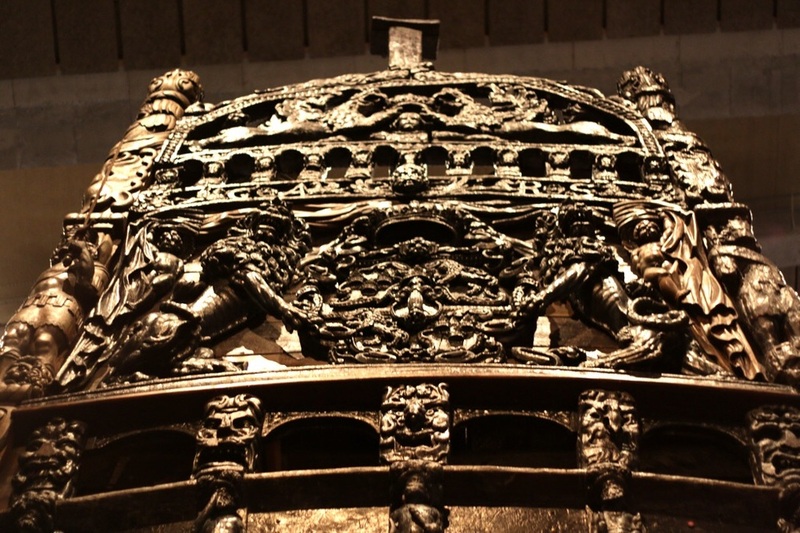 First museum was the Vasa Museum. I used to love to make models when I was a kid, and the Vasa was on my wish list for a very long time. I can still picture the box. Consequently, I know a little about the ship. It sank on its maiden voyage in 1628 only shortly after setting sail. Oops, that's a bit embarrassing. 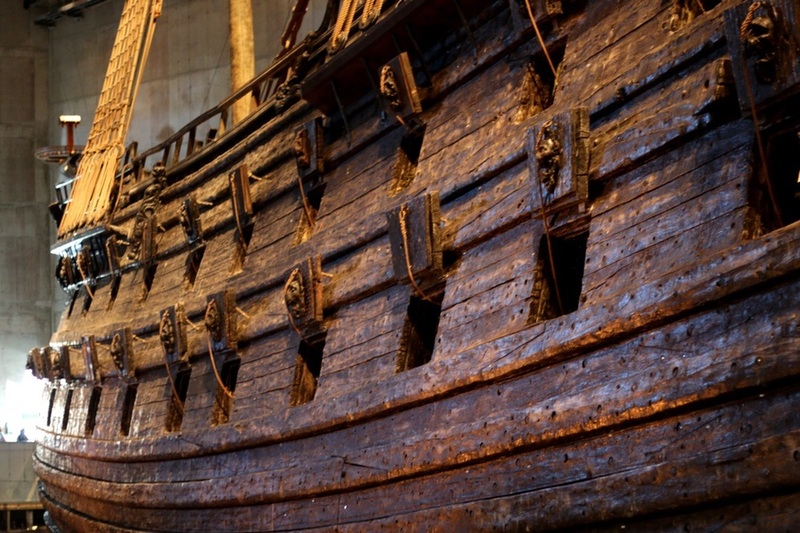 It lay at the bottom of the harbour for over 300 years until it was salvaged in 1961. They have worked on conserving it and have build a great museum around it. It was quite dark inside, so photography was a little tricky, but I swapped lenses which helped a bit. This cross section was really interesting. After the history of the Vasa I decided to pop into the Abba Museum (pun intended). This museum was to originally open in 2010 and I bought tickets at the time as part of the Europe trip Emily and I made but something fell through and the opening got postponed. They had a travelling museum that Scott and I saw in Melbourne, but I still thought I should have a look at the local version. I'm glad I did because there were a couple of really interesting exhibits I hadn't seen. I bought some items from the shop too. I bought the DVD of their North American tour which I've never seen, the deluxe version of Chess which has videos I've never seen and the recording of the Kristina performance at Carnegie Hall which I've been having trouble getting in Australia. 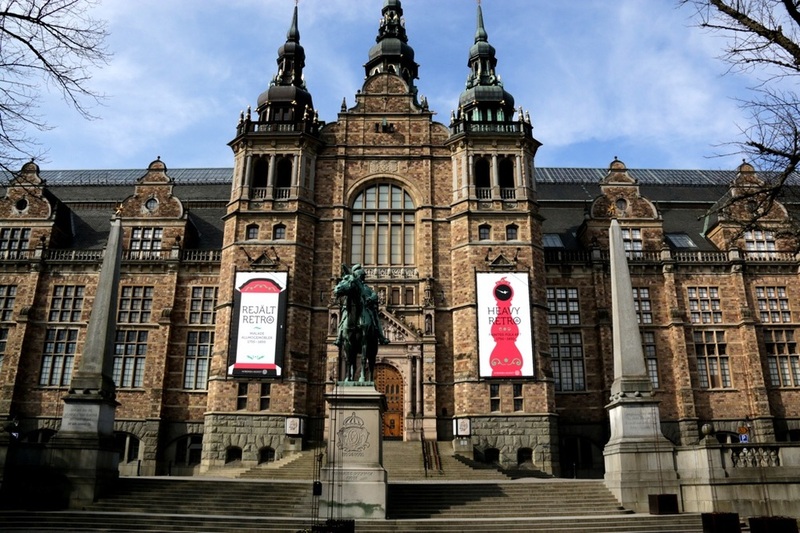 After pop, it was time for some culture so I went to the Nordic Museum which showcases life, work, trends and traditions in Sweden from the 16th century to present. The museum itself is very impressive. And the exhibits were also very interesting. I must admit I assumed the museum would also cover Swedish history but it didn't. I guess there must be another museum for that. Stockholm appears to have a lot of museums. After the last museum I had intended to make my way back to the apartment, but the weather was nice, almost warm, and Djurgarden is essentially one massive park so I followed the crowds and strolled for a while. I took some more photos of the scenery on and across from the island. I had to get this shot. Oh the indignity.